This segment is dedicated to the fashion of cars. Some are beautiful, and they enliven our high streets. 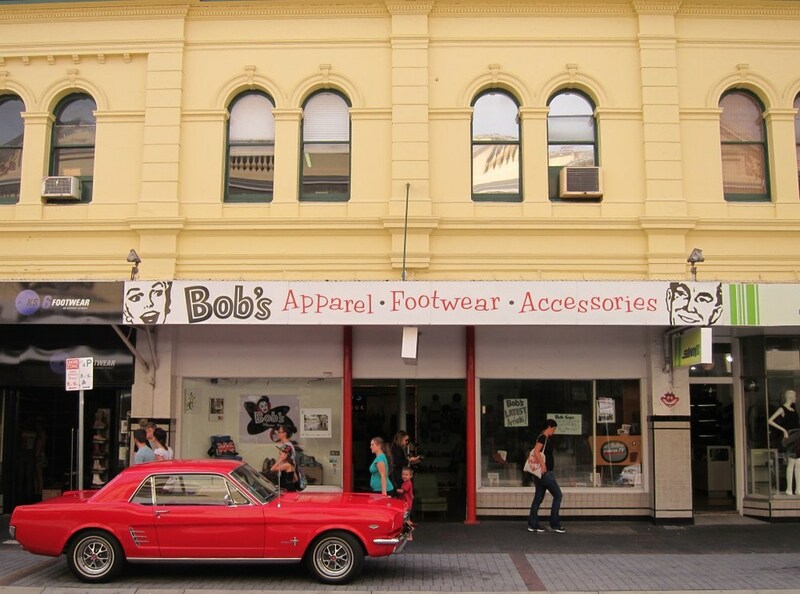 Ford Mustang at Bob’s Shoe Store, 50 Market Street, Fremantle, Australia.